By Catherine on October 9, 2013 | Last Updated June 27, 2016 | 4 Comments | Medical Disclaimer | This Post Contains Affiliate Links - I may receive a commission if you purchase through links in this post. 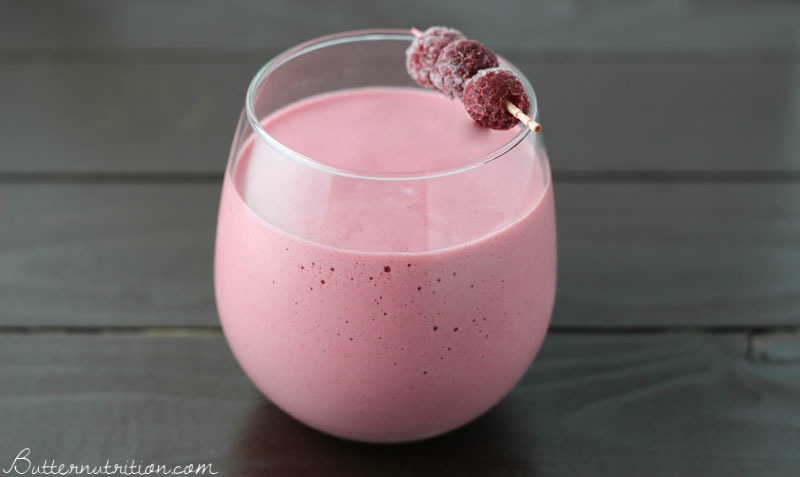 While it’s not currently raspberry season, it is very easy to find frozen organic raspberries to make my favorite raspberry protein shake! It’s a perfect dense packed smoothie that can help you hold on the abundance of summer a little longer! Combine coconut milk, water, egg yolks, collagen hydrolysate, salt, and honey in a blender and blend until combined. Adding the raspberries too early can cause the egg yolk and honey to freeze before mixed thoroughly. Then, add the frozen raspberries and blend until smooth. 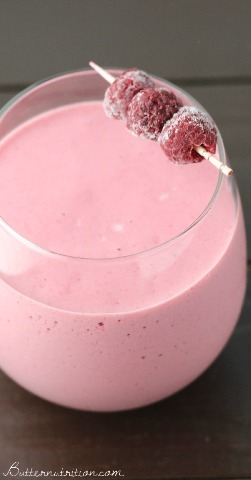 Enjoy this raspberry smoothie as an antioxidant rich protein shake! *Raw egg yolks are not appropriate for everyone. Consuming raw or undercooked meats, poultry, seafood, shellfish, or eggs may increase your risk of foodborne illness, especially if you have a weakened immunity or a medical condition. Please do your own research and make your own choice on whether they are right for you. 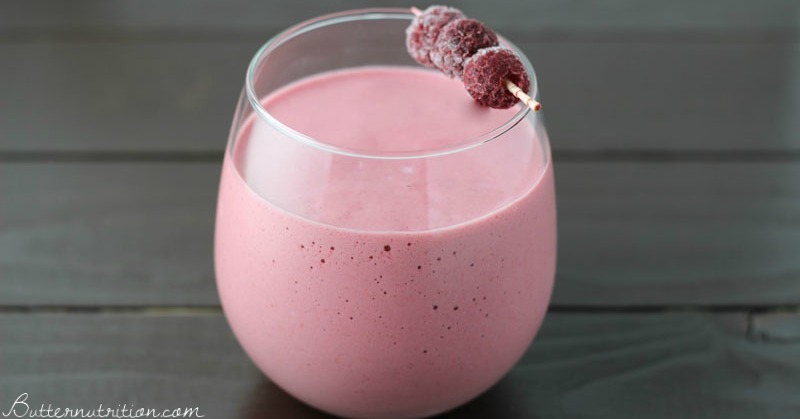 What else do you like to add into your perfect raspberry protein shake or smoothie? Can gelatin be used instead of Collagen hydrolysate? Thank you so much for listing the recommended products. It saves me the time-consuming task of searching all over for the purest products. You’ve done all the work for us. All the products you recommend are of the highest quality. So grateful for that. Are there any cons to using raw dairy milk instead of coconut?